Mailbox Happiness: Mail In-Mail Out! 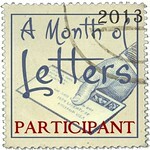 Letter off to Donavan, we are penpals through Letter Writers Alliance and have been writing just over a year now! 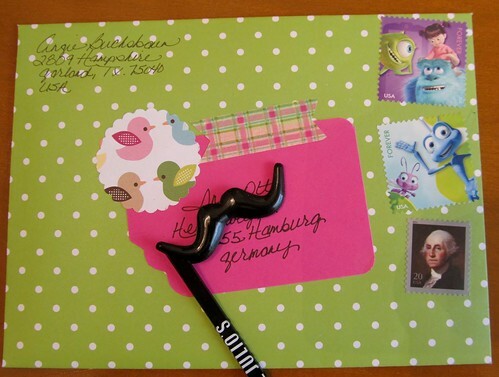 This letter will making it's way to a penpal in Germany that I've connected with through Letternet. 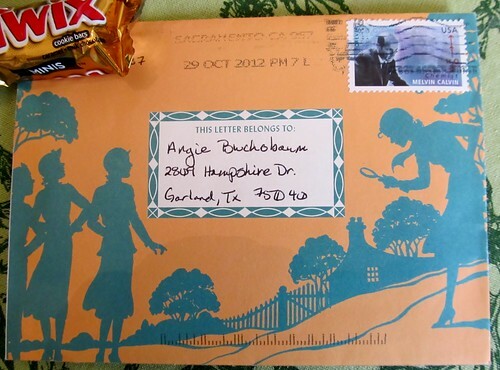 I love Nancy Drew, totally thrilled to get a fold n' send letter on Nancy Drew paper! 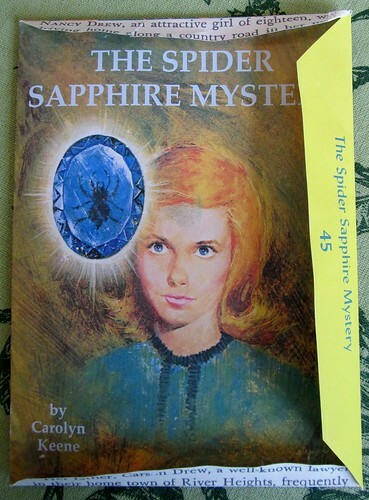 The Spider Sapphire Mystery by Carolyn Keene Fold n' Send Letter from a USA penpal. I sent two normal (meaning not Christmas) postcards yesterday. 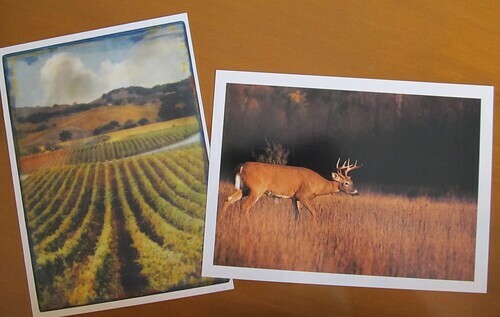 A beautiful California Vineyard headed to Russia and a White Tail Deer off to Ukraine (someone had the deer on her wishlist). 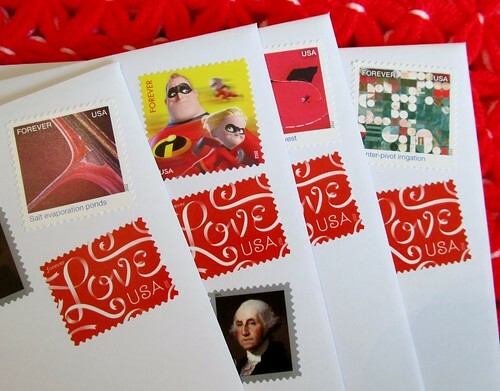 Mixing and Matching USA Postage Stamps with Reds in them. 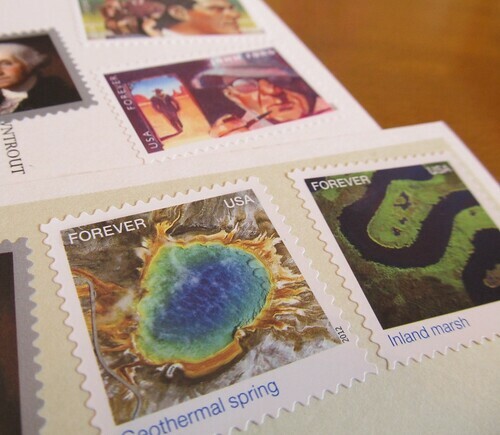 USA Postages Stamps, Stamps & More Stamps! 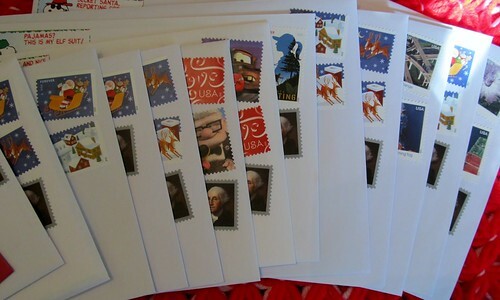 awww lovely envelopes and stamps!! Wow! 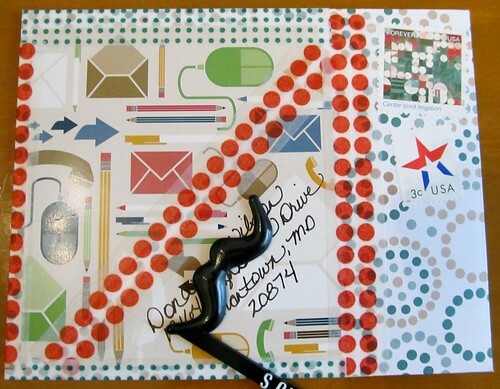 !Lovely outgoing mail. I hope my Diwali card reaches you soon.I am waiting for your letter and would let you know once it arrives. Hope you have a great weekend! I L-O-V-E the Nancy Drew stationery! I was a big Nancy Drew reader when I was younger...reminds me of my childhood.